Cap Canaille is the magnificent cape located between the towns of La Citotat and Cassis France on the Mediterranean Coast. The sea cliffs on the cape are magnificent at any time of day, however, they are most spectacular at sunset. 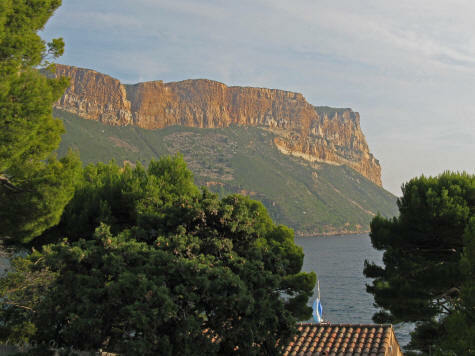 Cap Canaille reaches an elevation of 394 meters (203 feet) and is visible throughout the town of Cassis.